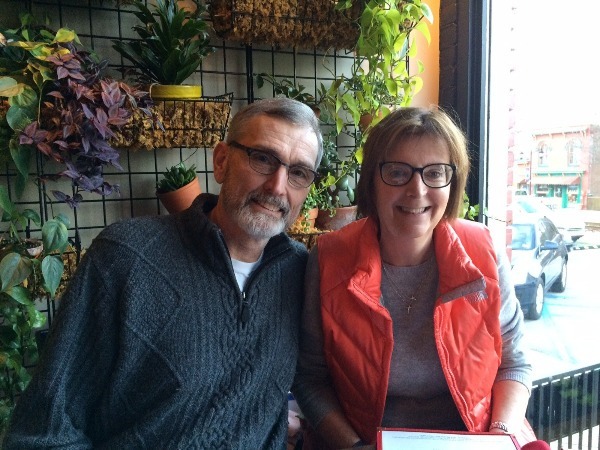 As long-time residents of the greater Louisville area, my husband Michael and I have enjoyed the past three years in Maysville while I served at Trinity UMC, and now as we live in Alexandria and I move into my new appointment as District Superintendent. The Northern Kentucky District runs from Trimble County all the way to Mason, Fleming and Nicholas, with everything in between. I am both challenged and excited to visit all our churches in the coming years and come to know the pastors and lay people of the United Methodist Church here. While we find ourselves in an unsettled time for our denomination, there is nothing unsettled about the work Jesus still calls us to be about every day. We are to love God and love neighbor. We are to act justly, love mercy and walk humbly with our God. We are to feed the hungry, clothe the naked, visit the prisoner. We are to join with the Holy Spirit in the making of disciples of Jesus Christ for the transformation of the world. It's a big task for ordinary people as we are. But it's not too big a task for our God. I look forward to continuing this journey of faith in my new role with the people and churches of the NKY District as we live into our calling this year. Ordinary people, doing the extraordinary. From a very early age, I had felt the pull in my heart to serve God and do His will. I accepted Christ at the age of 14 and felt the call of God to go to the mission field. I needed to prepare my life for service and was led to The Kentucky Mountain Bible College in Vancleve, KY. There I studied the Bible and Missions. Through the years my desire for missions never left my heart, but God chose for me to work in the local church and serve Him by singing, teaching, directing, and leading. I raised my family in Northern Kentucky area and my two children, Ben and Julie graduated from Campbell County High School. Later in life, I went to the University of Southern Mississippi and graduated with honors with a Bachelor of Science degree in Child Development and Family Relations. Most of my life, I have been an Administrative Assistant. It is my vocation of choice. I have worked for hospitals, foundations, counseling offices and now the Kentucky Annual Conference. I joined the staff at the Northern Kentucky District in November of 2015. I love serving God in this office and using my talents for Him. Every day I feel fulfilled and at peace in the center of His will for me. I am also privileged to be a pastor's wife. My husband Jim is the pastor at the Trinity United Methodist Church in Maysville, KY. We serve and love the Lord together. I love to read, play the piano and do jigsaw puzzles. I enjoy teaching in Women's ministries. I am working on a book of poems and stories and hope to get it published some day. At NKU, I am here for the campus community. As the district youth coordinator, I am here for all of you. I love youth and young adults, and we have a great passion for these ministries in Northern Kentucky. I look forward to continuing to meet all of you and come alongside your church communities. We are a connectional church; we will always be stronger when we work together. Other fun facts? Patrick and I have been in this district for just over 3 years. We are proud parents to Aago the parrot and Oswald the bunny. We have attended a baseball game at 20 of the 30 MLB stadiums, and plan to get to the last ten over the next year. My life-long ambition is to write a theologically sound Bible study series for nerds. The volumes on Harry Potter and Star Trek: TNG are in the rough draft stages. Voyage of the Dawn Treader is my favorite book in the Narnia series. Having been born the son of a Methodist minister, I have been a Methodist my entire life. After graduating from North Hardin High School, I attended Lindsey Wilson College when it was a 2 year college and transferred to Western Kentucky University where I received my Bachelors and Masters Degrees. I also received my Rank I degree from Northern Kentucky University. Before retiring, I was a teacher and principal for a total of 27 years. Since my retirement, I have found myself involved in many volunteer positions. As a member of Florence United Methodist Church, I am active in our United Methodist Men and am in training for Stephen Ministries. I am president elect of Western Kentucky University International Board of Directors of the Alumni Association. Also, as a Shriner, I presently give tours at Shriners hospital in Cincinnati. I have been married to my wife Joy for 45 years. We have one son, daughter-in-law and two grandsons.